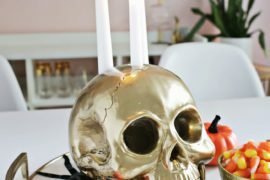 When it comes to Halloween decor, there are usually two main routes you can take — cute, or scary. 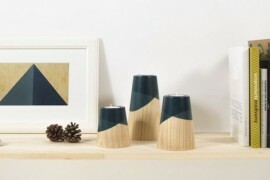 I’ll warn you right now by saying there’s nothing all that cute about the decor trends that follow. 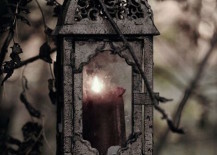 In the spirit of Halloween, sometimes we all just really need to be creeped right out! 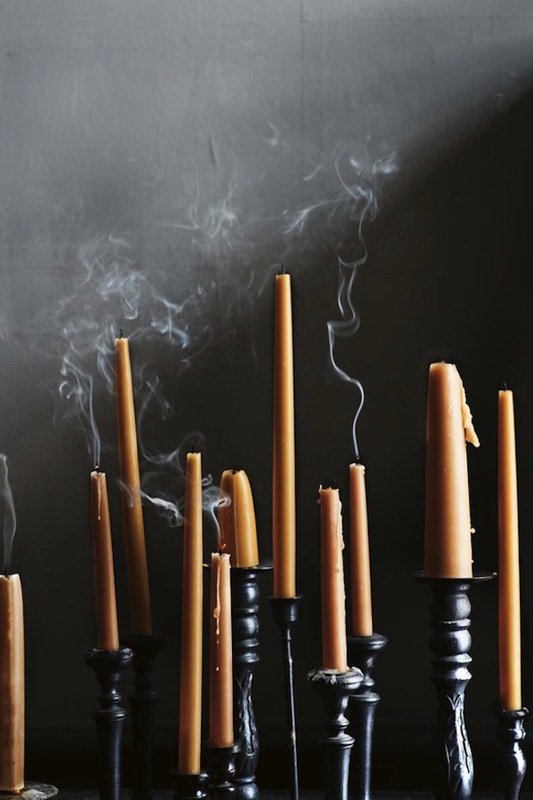 And there’s no easier way to bring a little of that creepiness into your home than by dimming the lights and lighting up a few candles on an elegant gothic-inspired candle holder. 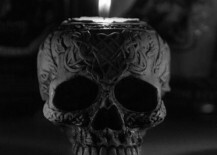 Here are just a few that will give you shivers. 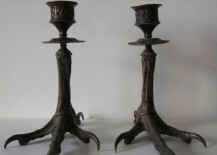 You can find some very vintage-looking candle holders almost anywhere, but if you want something super creepy, garage sales and antique stores may have the best finds. 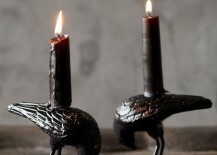 You can even paint them black for an extra spooky look. 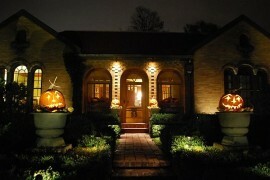 These ones from from Grand In Road appear to be quite new, but are still perfectly spooky enough for Halloween. 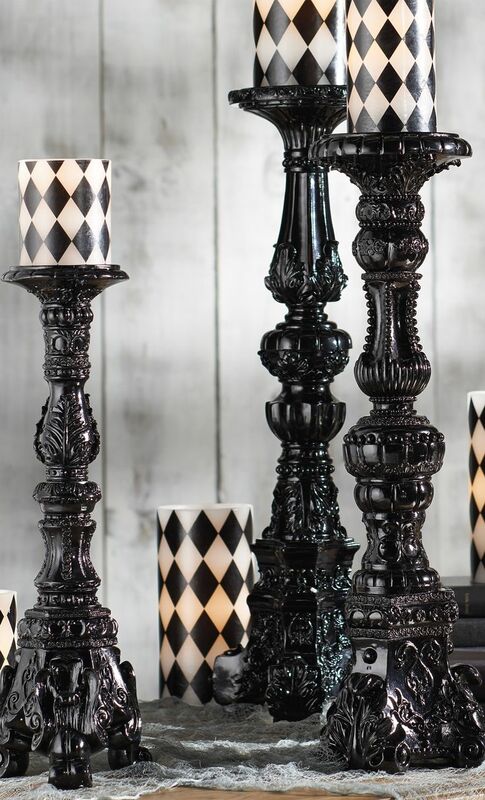 Extra large and tall ones will make an even bigger statement. 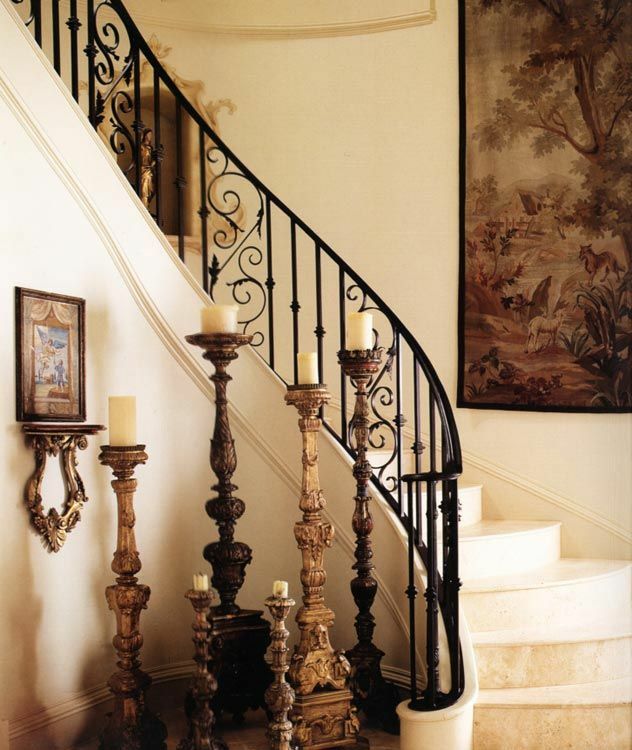 Check out these great old-fashioned candleholders featured on that look perfectly eerie next to a staircase. 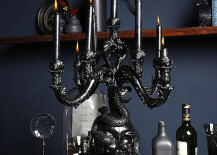 You don’t necessarily need something extremely ornate to look gothic and gruesome. 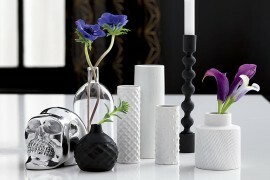 These simpler black candlesticks featured on with orange tapers create just the right kind of Halloween look. Feeling like a little something more scaly and slimy? 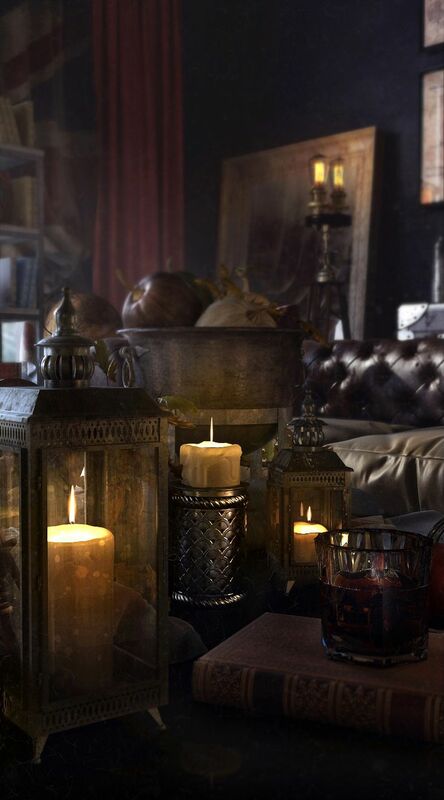 Now we’re really getting into the scary side of Halloween! 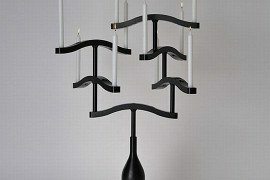 Check out the details on this gorgeous candelabra featured on . 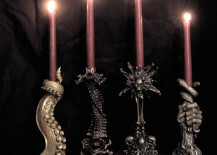 If tentacles are more your thing, then have a look at some of the candlesticks that sells on Etsy. 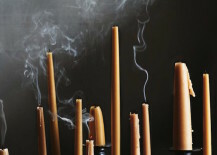 You’ll be blown away by the intricate mysticism of each piece! 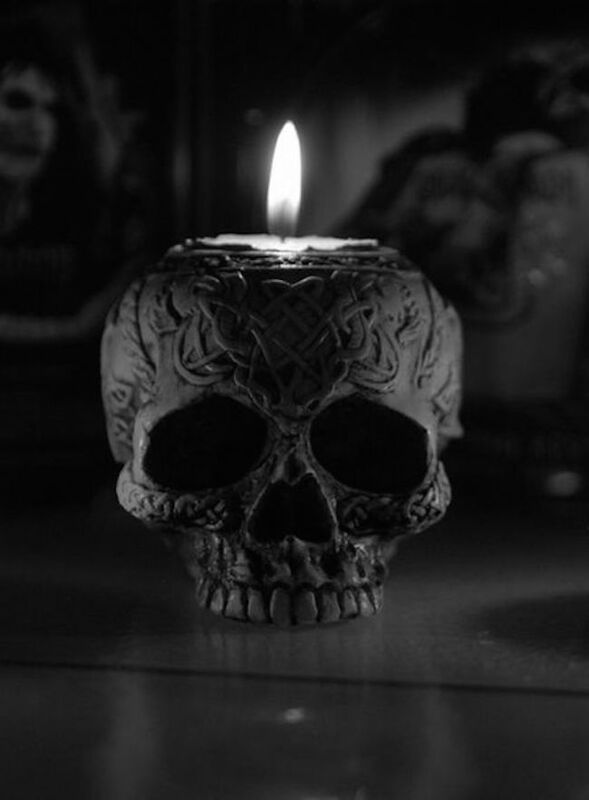 Nothing says Halloween quite like a human skull, and they look even more freaky when they come in dark colors with different patterns carved into them. 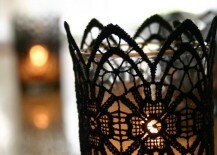 Have a look at this elegant black skull candle holder from . 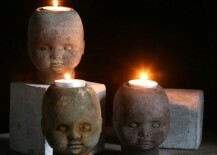 Of course, they look just as frightening in stone. 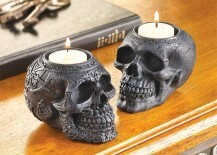 Here are a couple other ornate skull candle holders from . On the other hand, why not just go with something that looks realistic and similar to ? 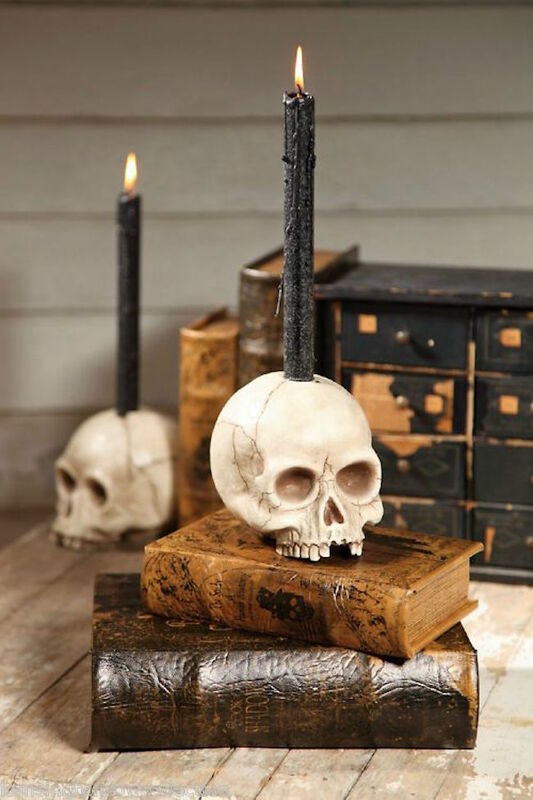 Add a dash of Halloween flair to it with a black candle. 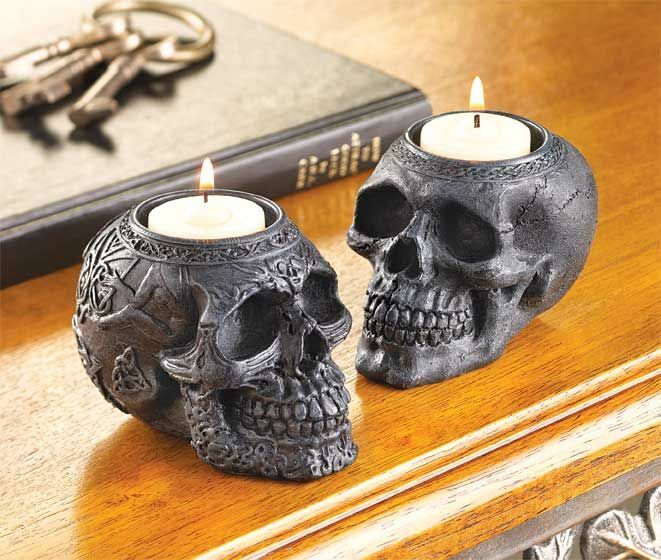 These candle holders aren’t exactly human skulls, but they’re just as scary looking. 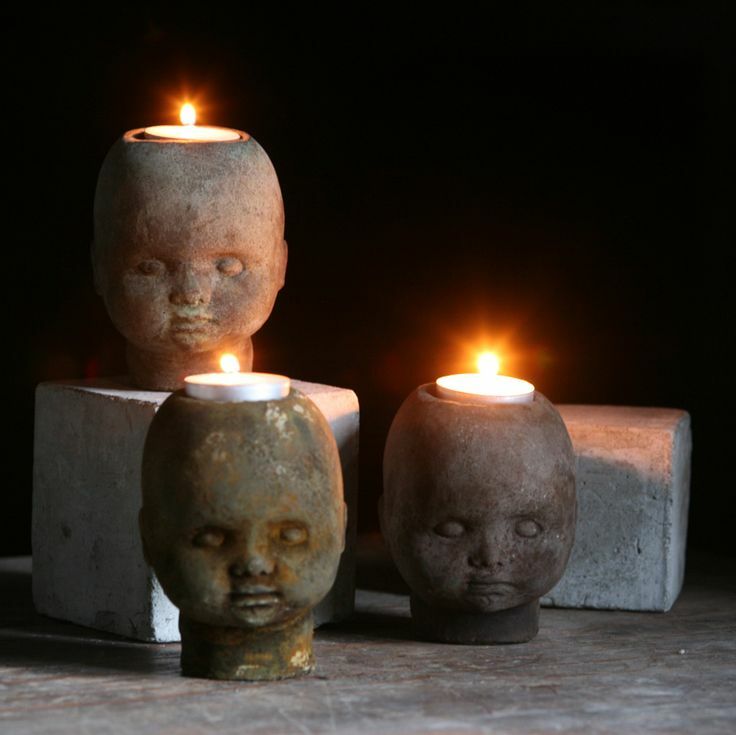 Doll head candle holders from on Etsy will leave you feeling like you’re being watched. 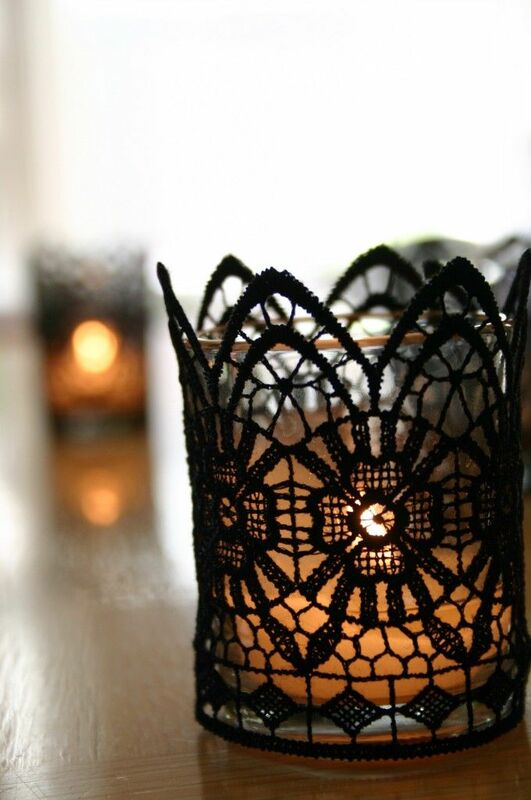 For more of an elegant gothic style, it’s easy enough to wrap some black lace around any simple candle holder you have lying around as a quick and easy DIY Halloween project. 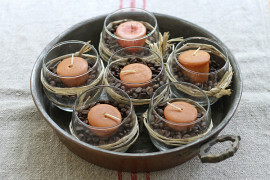 Here are a couple of great examples from and . 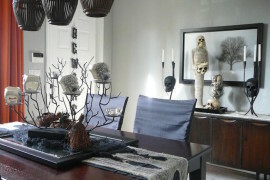 Black raven decorations bring a classic touch of dark mystery to Halloween. 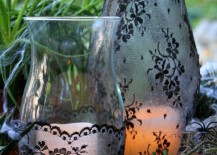 These candle holders from are just perfect for the occasion! 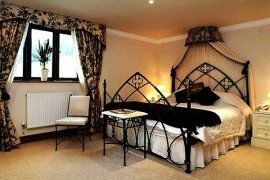 Or how about just the feet? 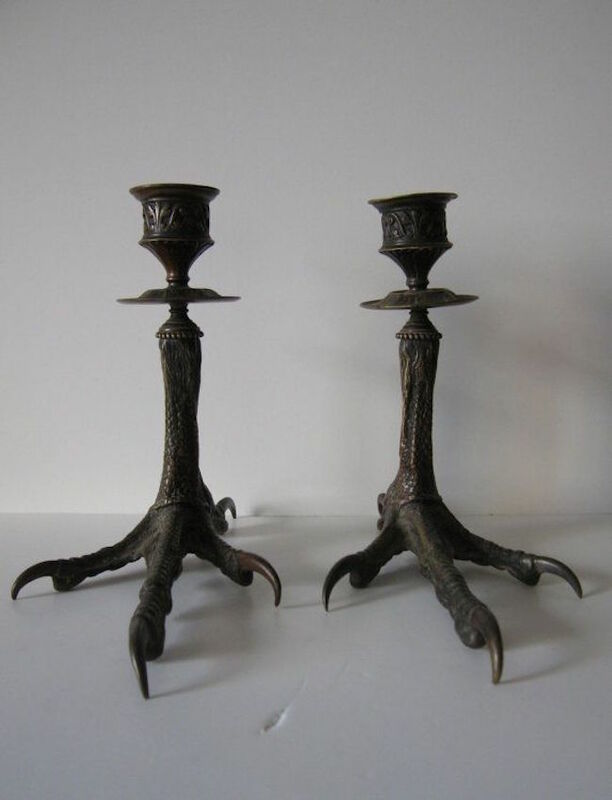 Bet you never thought a bird’s feet and talons could ever look so scary. 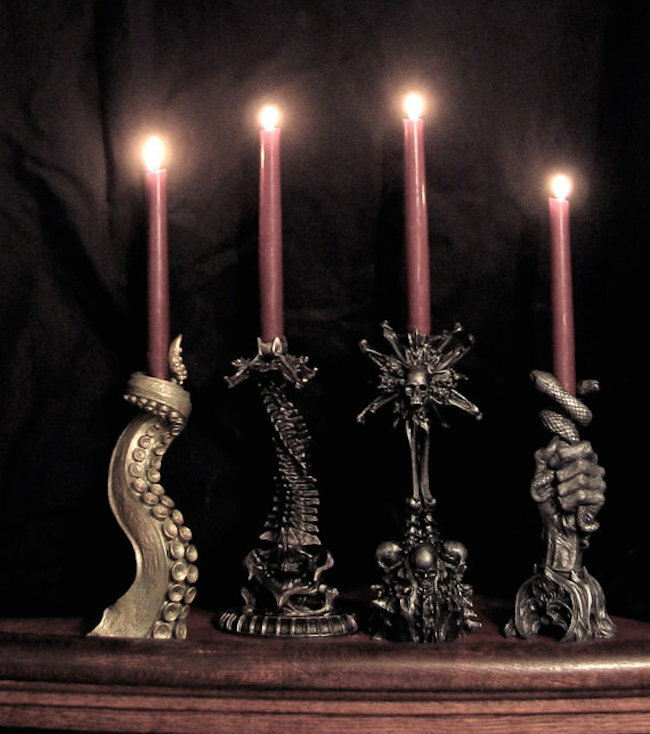 These candle holders are from on Etsy. 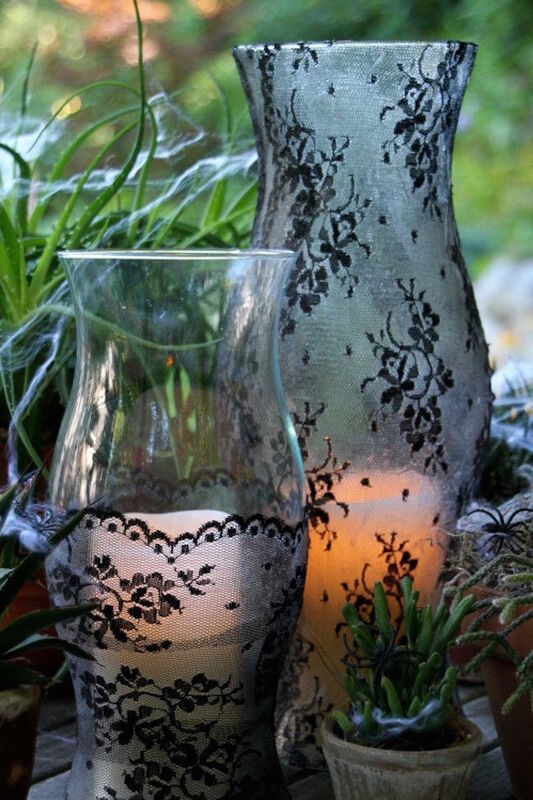 As a final suggestion for taking your Halloween decor to spookier levels, you can’t really go wrong with ! 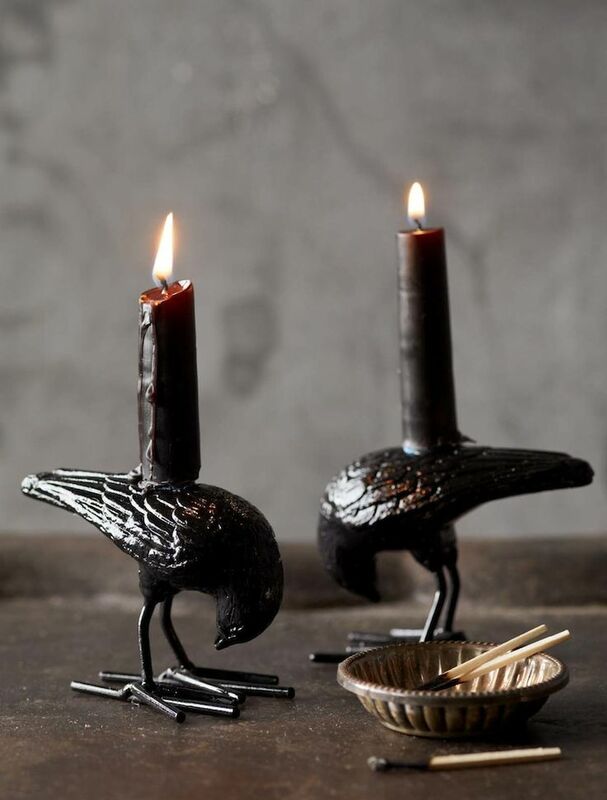 Especially when paired with other mysterious-looking candle holders and accessories. 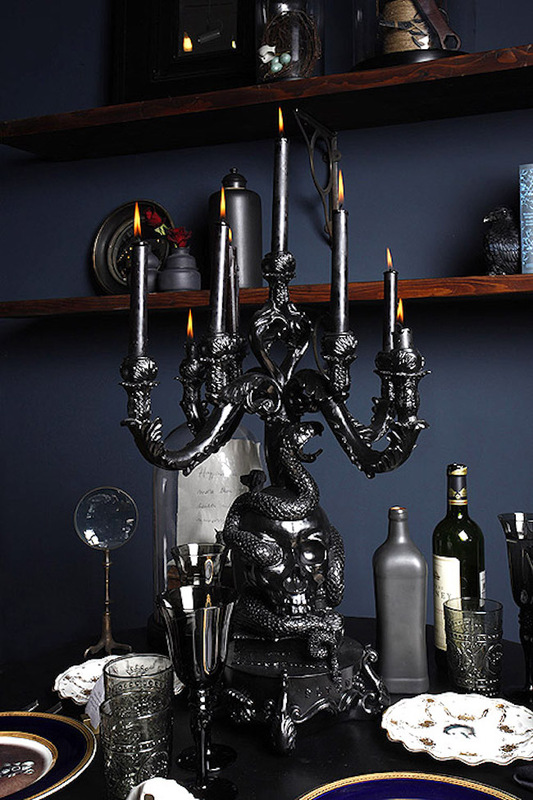 The darker and more ornate they look, like this stunning example featured on , the better they’ll fit with your gothic Halloween theme. Scary enough for you? 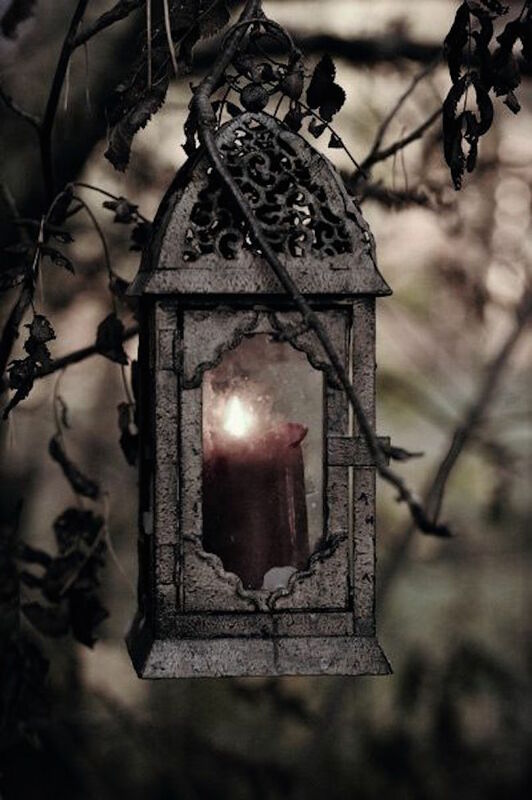 At least when it comes to gothic design inspiration, there’s always a nice dose of dark elegance that kind of balances out the frightfulness in a way that makes it beautiful. 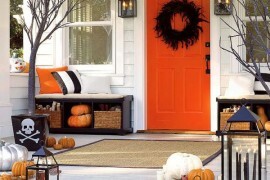 It truly is one of the perfect themes to go with for Halloween.